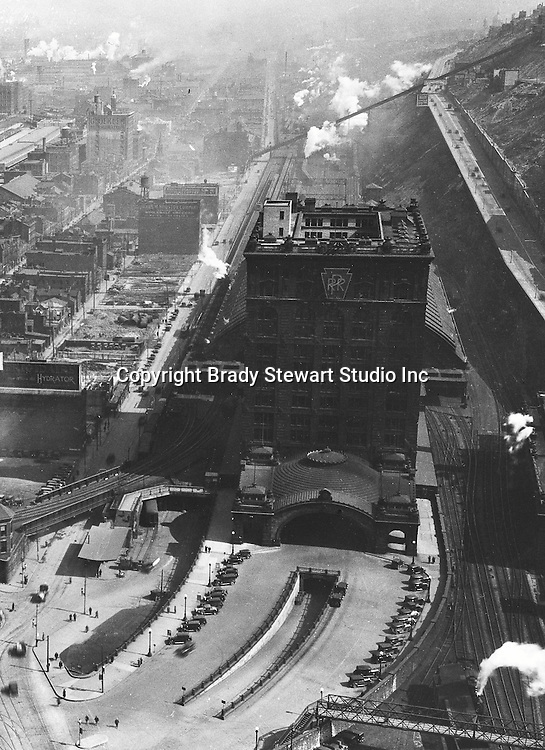 Pittsburgh PA: View of uptown and Penn Station from the new Koppers Building - 1929. For only a few years, Penn Station had a Pennsylvania Railroad sign on the side of the building. Strip District, the Penn Incline and Bigelow Blvd in the background.